The demand for mobile app development has increased in recent past years. According to Gartner Research, this demand will continue to raise at least 5x faster than IT’s capacity to deliver it through 2021. With the demand for applications, reportedly over half of IT managers are facing a huge app development backlog and various challenges to successfully launch a mobile app product. Gartner predicts that by 2019, out of every three new mobile apps will fail within the two-quarters of its launch in the market. When it comes to developing a mobile app, companies continuously indicate time and money constraints as the biggest barriers, followed by competing preferences and lack of a highly-skilled mobile app development team. 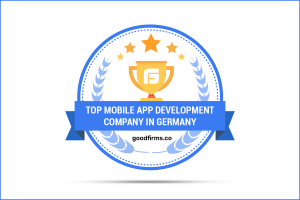 Due to these constraints, a number of companies are relying on outsourcing their mobile app development needs in order to free up their time to meet other business needs. Outsource Mobile App Development can be low-risk, cost-effective, and very productive. In this digital transforming age, outsystems.com revealed a shocking truth in a recent survey that out of over 3200 IT professionals, about 40% have stated that it took around 6 months to 1 year to deliver a finished app with desired features. The information suggests that non-IT professionals can take a lot more time in developing an app. What does it mean? By the time, when your app comes out, It can become obsolete. The mobile app development time can make or mar your business since the lengthy development process takes more efforts and you have to spend more resources for a long time. There, a professional strategy in integrating technological advancements and project management performs an important role to develop an enterprise-level mobile app within a certain time frame. In summary, if you have a limited timeline or your app’s launch date is getting postponed frequently, it is time to Outsource Mobile App Development. Let’s take an example, You run an eCommerce business and many of your employees have fair technical knowledge. Do you think this knowledge is ample to manage all the complexities of a custom app development? While developing an eCommerce app you need to take care of every aspect including backend and cloud integration, API integrations, scalability and security, performance, frequent updates, and alike. Perhaps, this is a reason why even large enterprises have stumbled at the scope of their mobile app project. The lack of expertise and reliance on unproven talent to develop customized apps can delay the development process and may result in the failure of the project. Let’s face it. Users nowadays just don’t give much attention to new apps and the number of downloads of new apps depends on many factors. A half-baked MVP (Minimum Viable Product) can never deliver you a positive result as there might be many similar apps available in the app store. In this case, Outsource Mobile App Development can get you more profit, and you can earn a loyal client base with a better product. 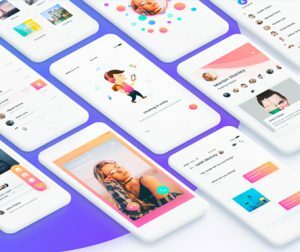 The mobile app development process consists of many steps between idea and prototype to launching, and you need to take care of every aspect to ensure an app’s success. Finally, if you find any difficulty to keep pace with Android and iOS’s ever-changing app development environment, it’s time to Outsource Mobile App Development to a reliable and experienced app developer to get a quality development in a cost-effective way.